Star Wars x Medicom – Bearbricks can be some of the most uninspiring and lazy collaborations. Take a blank boxy bear, use some sweeping generalization from the partnering brand, and repeat. This Stormtrooper is definitely not one of those. 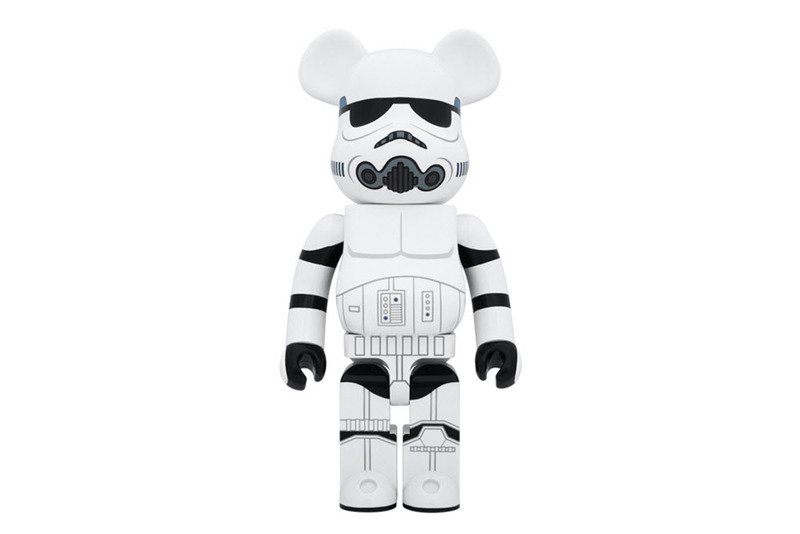 Medicom is no stranger to the Star Wars universe, and the Stormtrooper Bearbrick was originally released in 2011 in the 400% size. This June will see the release of the coveted 1000% size, and will retail for $315 USD. 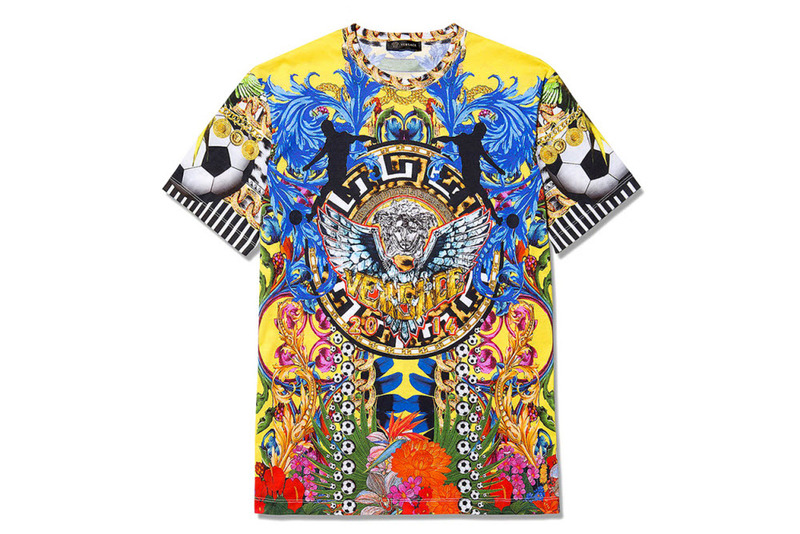 Versace Loves Brazil World Cup T-Shirt – Streetwear and sportswear brands have some company as Versace offers up a graphic T-shirt for the World Cup in Brazil. The T-shirt is in an ostentatious full-graphic design replete with baroque print, gold medallions, Medusa head, flowers, and a couple of soccer inspirations. The shirt is loud and gaudy, and is a sight to behold. A special Brazil World Cup T-shirt is a exercise in excess, and the t-shirt executes ridiculous lavishness perfectly. Clarks Originals’ Desert London – Clarks Originals has been found on everyone from French Legionnaires to Hip-Hop moguls. One of the most iconic colors is their famous Beeswax leather. The soft leather is treated with a layer of wax to make the shoes water repellent, and a little more durable. 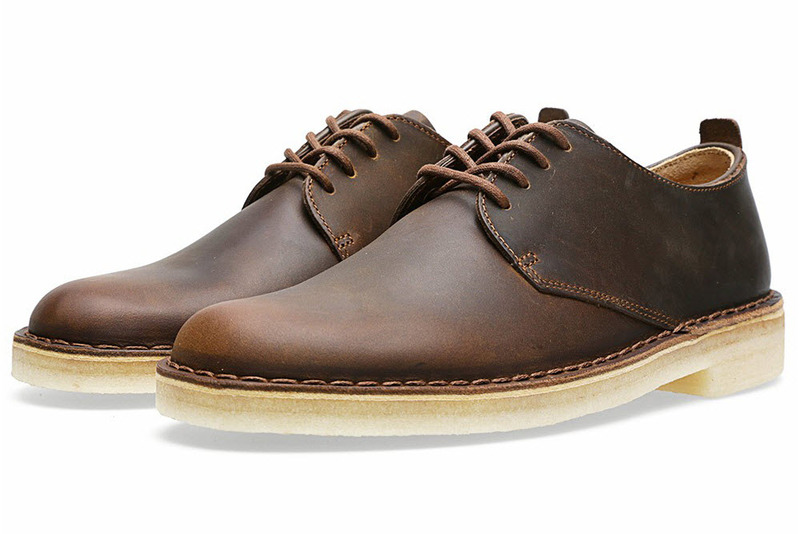 The Beeswax is now available for the Desert London; a low-cut version of the classic Desert Boot. The shorter profile fits perfectly with the timeless styling, and the deep brown Beeswax contrasts well against the classic crepe sole. Mark Flood for Supreme – Supreme has had a strong appreciation for art and has enlisted the help of artists from Jeff Koons to Richard Prince. The latest artist to help Supreme peddle some skate decks is Houston born Mark Flood. Flood is known for being a great artist, and an equally great prankster, his work began in the early eighties and is now exhibited over the world. 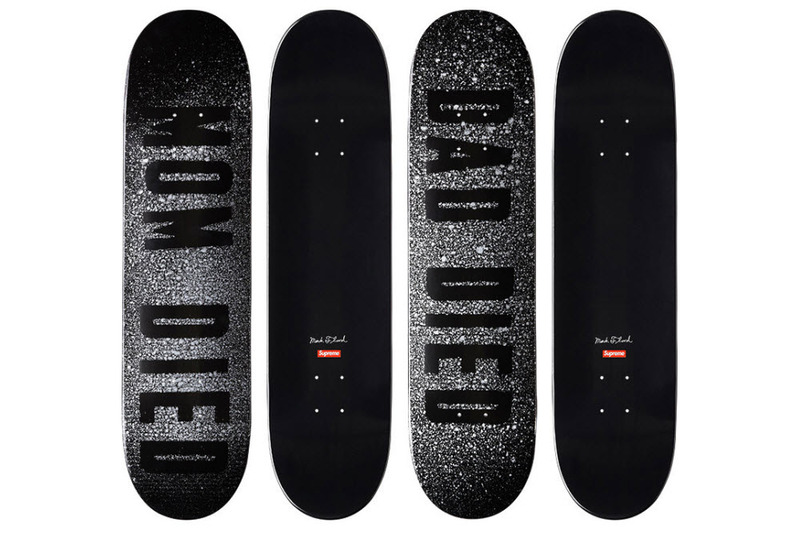 The project will have Flood contributing two decks that is themed around dead parents, and will release in stores May 31. NEIGHBORHOOD C-Incense Chamber – T-shirts that retail for anything over $35 seems ridiculous to me, and as such I pay little attention to NEIGHBORHOOD. One thing that I do keep up with is their incense chambers. The past seasons have included guns and monkeys, and this season will have a bulldog. 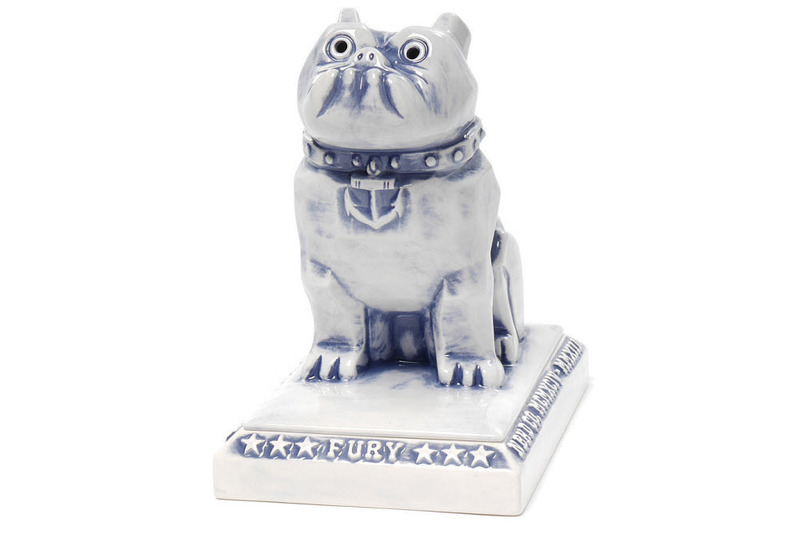 The significance of the bulldog goes hand-in-hand with the premise of NEIGHBORHOOD’s special Pottery Series. The streetwear brand pays homage to Japanese culture by incorporating ideas that were around during the US’s occupation of Japan. One of the sights during this occupation was the litany of big trucks that were used to haul debris, or bring supplies. The Mack Bulldog was the ornament on each truck. This specific imagery has come full circle and is now the incense chamber that is made with high-quality ceramic porcelain.